Whether you're seeking to recreate your grandmother's pierogie, add some variety to your gluten-free recipe box, or discover a hidden gem such as Sri Lankan or Sephardic Israeli cuisine, you'll find inspiration in our international cookbook collection. Learning a foreign tongue can break down language barriers, but, as any traveler knows, enjoying a nation's cuisine can often transcend those walls without a word. Take a look at our latest additions, including our very first cocktail book! 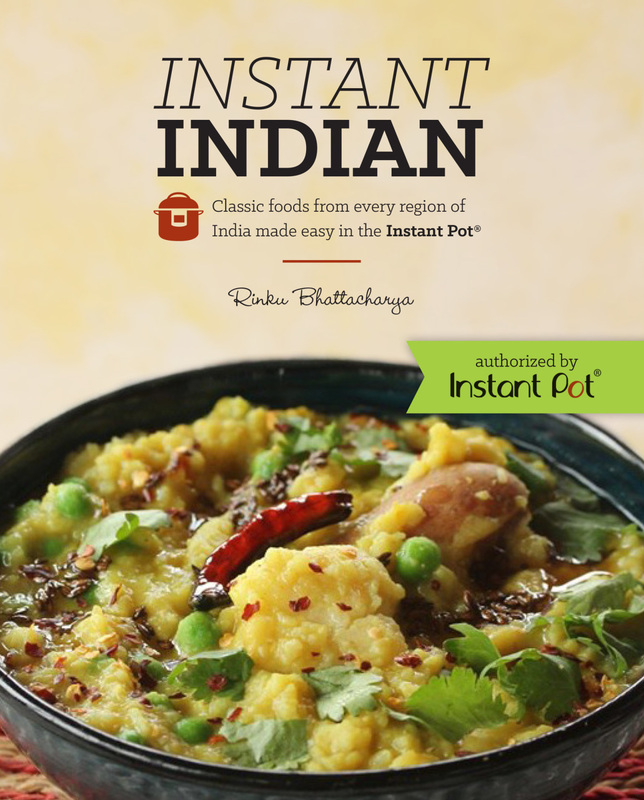 Discover regional favorites from all over India with the Instant Pot! By now, nearly everyone has heard of the Instant Pot, the multi-use programmable pressure cooker that has taken the home cooking world by storm and brought together a community of millions of online followers. The Instant Pot lends itself perfectly to Indian recipes, making flavorful, nutritious Indian fare like dals, legumes and all manner of curries–-that typically take a long time to simmer--up to 70% faster than on the stove top. Rinku Bhattacharya—cookbook author and founder of Spice Chronicles— has put together a collection of 100 authentic recipes that showcase the diversity of India, where every state and region boasts its own unique dishes. Instant Indian features numerous vegetarian and vegan options, and nearly all are gluten-free. With step-by-step instructions, thoughtful narratives and color photos throughout, Instant Indian makes Indian cooking easy and fool-proof using all the functions of this popular appliance. 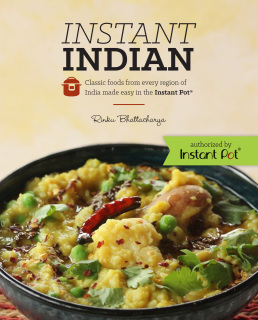 Whether you crave idli and sambhar from South India, Khaman Dhokla from Gujarat, Punjabi Butter Chicken, Goan Fish Curry or Bengali Red Lentils, or simply want to discover a new favorite, this cookbook brings the best of India to your table in an instant! Our collection of beautiful cookbooks make excellent gifts for both the discerning gourmand and the armchair traveler. 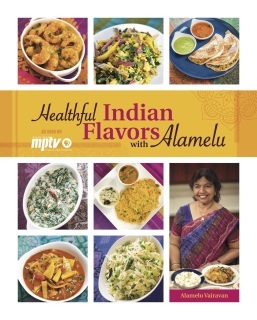 This cookbook contains the recipes featured on the first three seasons of Alamelu Vairavan's popular MPTV/PBS cooking series "Healthful Indian Flavors with Alamelu," along with favorites from her previously-published cookbooks, Healthy South Indian Cooking and Indian-Inspired Gluten Free Cooking. Longtime fans and Indian cooking novices alike will enjoy this collection of more than 120 easy-to-follow, flavorful recipes--each with a color photo. With a focus on vegetables and protein-rich legumes, the recipes include soups, curry sauces, crunchy salads, and a host of vegetarian specialties that are not only low-calorie and low-fat, but packed with nutrients, fiber and flavor. Each recipe is written in a step-by-step format that makes it easy for readers to create authentic Indian dishes at home. Watch episodes anytime online at www.mptv.org/localshows/alamelu. Best African Cuisine Book 2016! The Akan proverb “The good soup comes from the good earth” elegantly sums up Ghana's tradition of cooking with seasonal, local ingredients. With an emphasis on locally caught fish and seafood, vegetables, fruits, and legumes, Ghana’s cuisine is vibrant, healthful, and eminently appealing. Limited access to wheat and dairy allows for a variety of gluten-free, lactose-free, and vegan options using starches such as plantains, cassava, taro, sweet potatoes and millet, and creamy nut-based soups and sauces. In over 140 recipes, the authors highlight the flavor principles, seasoning techniques, and basic stocks, with later chapters dedicated to snacks, soups and stews, protein entrees, beverages, baked goods, and much more. The award-winning food bloggers from Muy Bueno and Sweet Life have teamed up to create this exciting collection of Latin cocktails! Yvette and Vianney are known for their Mexican and Latin-fusion recipes made with easy-to-find ingredients. Their cocktails--featuring fresh-squeezed juices and homemade mixers--have been so popular that they decided to devote a whole book to them! Latin Twist is the first book to celebrate the signature cocktails of 18 Latin American countries and Spain in one volume. It delves into the history of each country's liquors, followed by traditional cocktails and original recipes. Try a luscious Passion Fruit Caipirinha from Brazil, Chile's fruity Borgoña, or Argentina's national drink, the deceptively simple Fernet con Cola. Whether you're having a backyard fiesta or just entertaining a few friends, there is a drink in this book for every occasion. Clear instructions and gorgeous color photos make it easy to mix up a glass or pitcher of crowd-pleasing cocktails.